FLASH SALE on project bags and introducing TENDER by Melody Hoffman! - Kettle Yarn Co. FLASH SALE on project bags and introducing TENDER by Melody Hoffman! 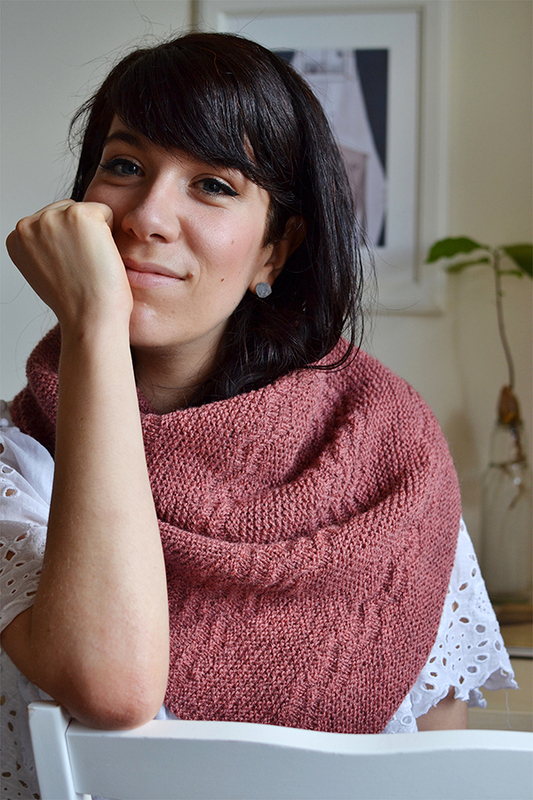 This week I’m so happy to introduce the perfect light, airy layer for this changeable season! Tender by Melody Hoffman is a beautifully simple shawl designed in small-batch British Ramble to be a relaxing knit of garter stitch & chevrons. Melody made the most of Ramble’s airy construction with texture sections worked into beautiful chevrons, gently broken with simple rows of garter stitch. The shawl makes me think of something a fisherman’s wife would have worn here on the English coast, draped warmly across her shoulders to keep off the chill wind as she worked her daily tasks, beautifully simple and made with love. Ramble draws on a centuries-rich history of sheep rearing and wool production from the Shetland Isles and England’s smugglers paradise, Romney Marshes. Made from British-reared Romney and Shetland fibres raised on smaller farms, this yarn is lightly processed and woolen spun into a heathered, sheepy cloud. Back in stock this week, Ramble draws on a centuries-rich history of sheep rearing and wool production from the Shetland Isles and England’s smugglers paradise, Romney Marshes. Made from British-reared Romney and Shetland fibres raised on smaller farms, this yarn is lightly processed and woolen spun into a heathered, sheepy cloud. Melody’s used Hawthorne red in the sample, but this lovely shawl would look stunning in any of the Ramble hues. Check out this animation to choose your favourite! Starting the loop with the original Hawthorne red – Sloe, Burdock, Gorse, Nightshade, Meadowsweet, Heather and Damson. All shades are now back in stock for all your projects.